Andy Slavitt, acting administrator for the Centers for Medicare & Medicaid Services, has announced the HITECH Act’s Meaningful Use incentive program is soon to be retired. 2016 will see the program finally come to an end now that the vast majority of healthcare providers have made the transition to electronic health records, although an end date for the incentive program has not yet been announced. That ‘something better’ will be a new regime that rewards healthcare providers for the value they offer and the outcomes they manage to achieve with patients, marking a substantial shift of emphasis from Meaningful Use that provided incentives based on the use of technology. 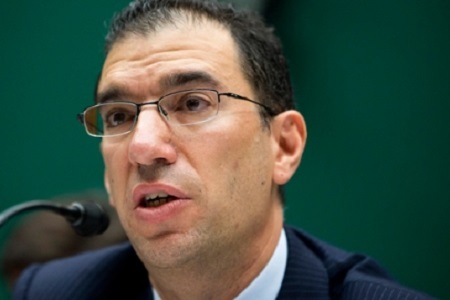 Slavitt pointed out the Meaningful Use has resulted in technology providers developing solutions to meet the needs of the government, rather than tailoring their technology to meet the needs of healthcare providers. This now needs to change. “Technology must be user-centered and support physicians, not distract them,” he said. The new regime is expected to see incentives offered to healthcare providers that improve interoperability, as well as improve patient engagement in their own healthcare. The days of tolerance of organizations that practice data blocking have also come to an end. The Meaningful Use program has been a major driver of change, encouraging healthcare providers to take greater responsibility for data security, in particular by encouraging them to perform risk assessments. Now that the incentive program is soon to be over it would be an ideal time to introduce new incentives to encourage healthcare providers to introduce more stringent safeguards to secure patient data. After such an annus horribilis for the healthcare industry, one in which over 113 million healthcare records were exposed in security breaches, it would be an appropriate time to start offering incentives to healthcare providers to encourage the encryption of healthcare data on devices used to store ePHI, as well as for introducing other data security measures to protect patient privacy. Over the course of the next few months the government will hash out the details and will develop a new rewards program to encourage healthcare providers to provide a better standard of care to patients. The aim is to work towards the standards required under the Medicare Access and CHIP Reauthorization Act of 2015 (MACRA).